There are plenty of options to consider when making the decision to part ways with million dollars. For example, one could acquire a reasonably priced exotic sports car and be left with the funding to properly maintain it, or simply toss it all at a Bugatti Veyron and faith. There is also the world’s most expensive surfboard for $1.3 million bucks. One might just offer a shark their leg and defend the board in this situation? Meet one of the world's most expensive surfboards. No, it didn't belong to Kelly Slater, Duke Dahanamoku, Mark Occhilupo or Patrick Swayze. Yes, you're right, it's the ultra, mega famous "Baywatch" surfboard. The 7'1" red Malibu with the yellow "Baywatch" logo can be yours for only US $1,000,000, as it can be bought at eBay, the only place in the world where strange things can be sold for reasonable prices. The owner is an honest man and gives us detailed information. Let's see. "An item that has been used previously. The item may have some signs of cosmetic wear, but is fully operational and functions as intended. This item may be a floor model or store return that has been used", you can read. "Interesting, rare, collectible and usable surfboard for sale. 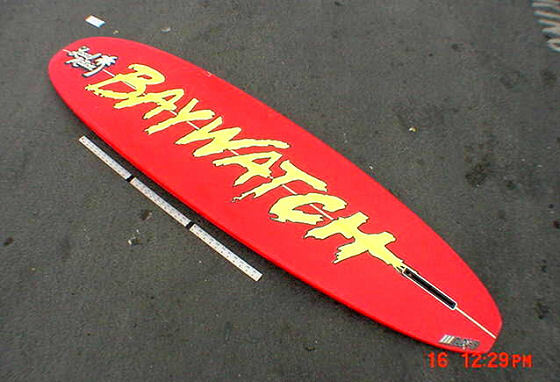 This surfboard was designed, shaped, painted and glassed exclusively for the television series of Baywatch. It was used on the movie set as a movie prop. Use as a surfboard, coffee table, wall art". So, more than a surfboard, this cheap surfing deal can also be used for other interesting purposes. Can you sleep on it? The owner - who probably wants to buy a beach house in Malibu - also tells us that this rarity was shaped by Jay Hodge, from Hawaii. But, there's more. This is really a must-buy surfboard. "Imagine all the important movie star people, like Pamela Anderson and her girlfriends that have touched the board or laid on it, pressing their wet and hot bodies against its long and hard surfaces". "Imagine you walking to the beach with the BayWatch Surfboard tucked under your arm and tons of women coming running towards you, wanting to be near you, to touch you, attracted to your your Masculinity, your Purity of Essence (POE), caused by you being in possession of the rare and ultra cool Baywatch Surfboard. I could go on, but you get the idea". Get the "Baywatch" surfboard for only $1,000,000. 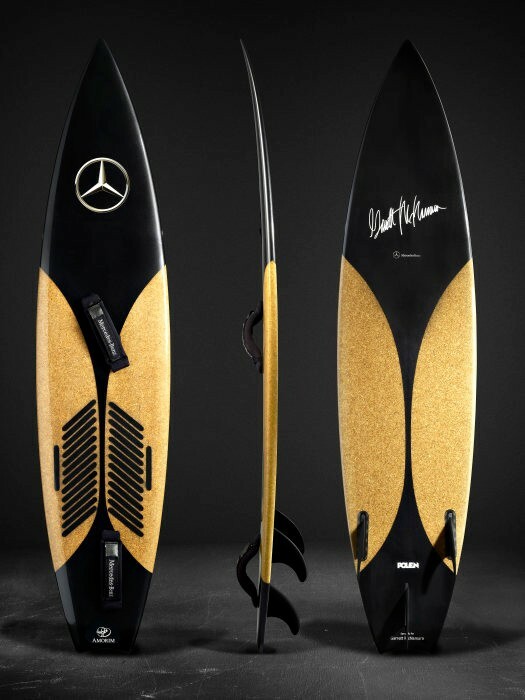 Two new, innovative surfboards are currently being built in collaboration between Mercedes-Benz and the world-class Hawaiian surfer Garrett McNamara. The first, made entirely from Portuguese cork, has already been handed over to McNamara. The second board is being produced from a foam material used in the manufacture of aircraft wings. McNamara brought this material with him from California. The surfing legend and current world record holder plans to use the two boards to ride the high waves off the Portuguese coast in Nazaré. Mercedes-Benz designers began working together with McNamara on MBoard project 1.0 back in 2013. This gave rise to four surfboards, which were built in Portugal and are especially suitable for surfing giant waves. They all have different forms and are tailored to McNamara's height and weight. In the current project, both partners are going one step further. 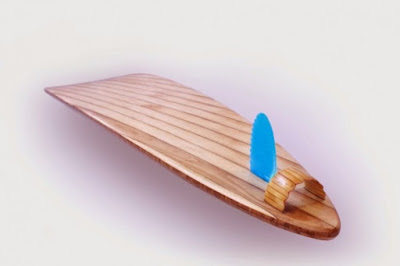 The result is a surfboard produced entirely from the renewable raw material of cork, which has proved its efficiency, durability and stability in numerous other projects, notably in the aviation, automotive and textile industries. The construction of the surfboard made use of the experience of the world's largest cork producer, the Portuguese company Corticeira Amorim. The decision to opt for a sustainable material was an obvious one for McNamara: "As Portugal is the world's biggest producer of cork, it makes sense to use that material to produce high-performance surfboards. For surfing high waves, we need a flexible board that is also tough enough not to break."